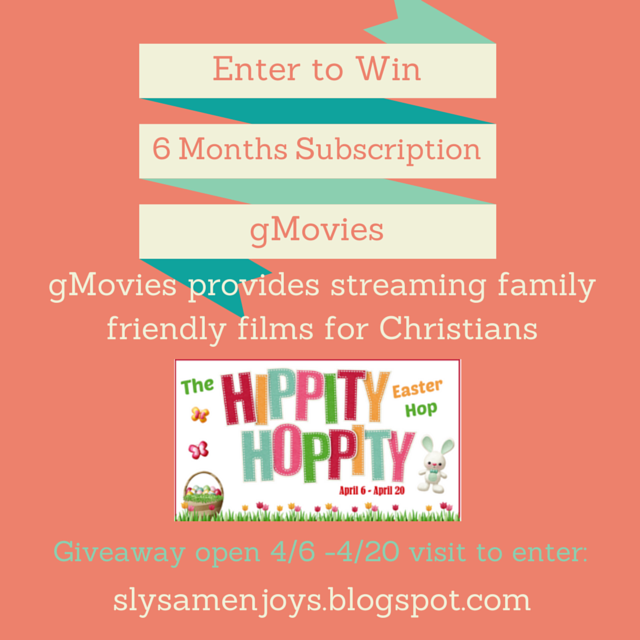 Enter to Win: Six Month Subscription to GMovies - Sam Enjoys & Shares! gMovies fills a special niche. Where else can you find streaming inspirational, family-friendly entertainment with a Christian focus? gMovies offers a variety of genres including drama, comedy, romance, documentary, children, thriller and science fiction. Does this sound good to you? If so, read on as you just might win a free subscription! Disclosure: I received a complimentary subscription to gMovies through Fly By Promotions and gMovies. gMovies has also graciously offered one Enjoys & Shares reader a free six month subscription! 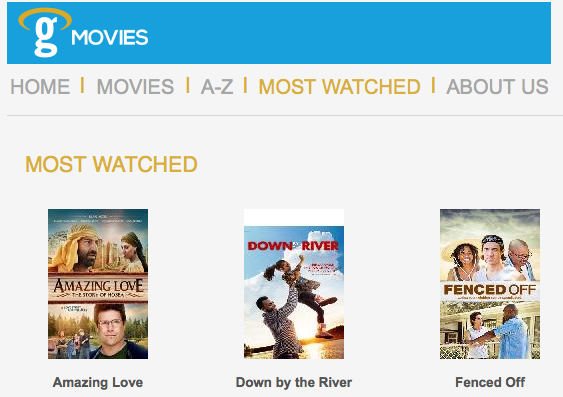 gMovies is well organized categorizing films by genre, alphabetically and by popularity. It is available online, through an iPhone app and through an Android app. Several cable providers also allow access to the gMovies channel. Visit http://www.watchgmovies.com or their parent company UP Media for more information. 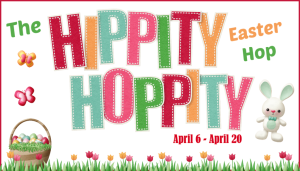 Check Out The Hippity Hoppity EAster Giveaway Hop! Co-Hosted by: Melanie Meditates, EasterBabe’s Theory, Muscles & Mascara Blog, Cia Says, So Simply Stephanie, Marilyn’s Treats, Our Refuge and Strength, & Life of a Southern Mom Each blogger participating in this hop has a giveaway with a prize value of at least $15 – and some are much more than that! Be sure to scroll down the whole list and visit them all – there is no limit to how many prizes you can win! There will also be a twitter party on April 14th to go along with this hop with even more chances to win. RSVP for that by clicking here. Good Luck and Have Fun!